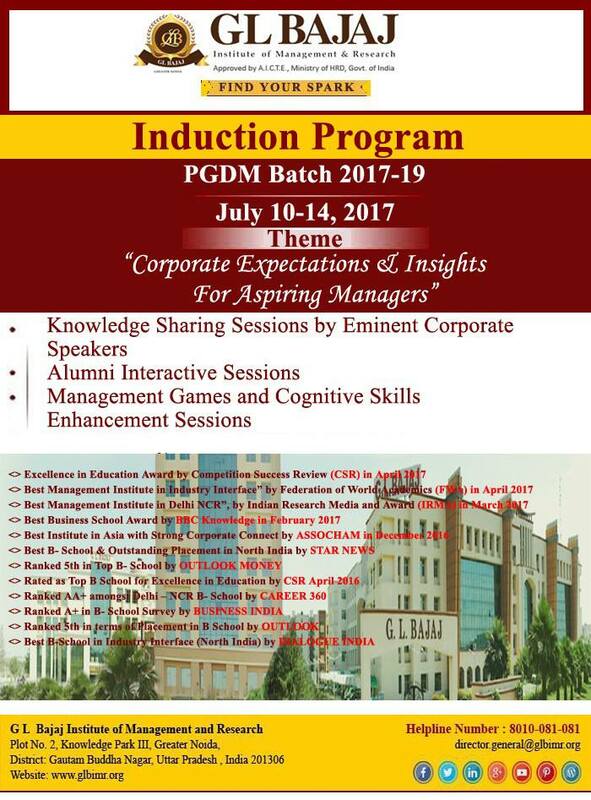 GL Bajaj Institute of Management and Research (GLBIMR), Greater Noida, is organizing the Induction Program for PGDM Batch 2017-19, from July 10, 2017- July 14, 2017. There will be highly renowned expert panelists from corporate for Panel Discussions and Knowledge sharing sessions, on the theme “Corporate Expectations & Insights for Aspiring Managers”. 3-4 eminent panelists in each session will be sharing their views on the subject matter. 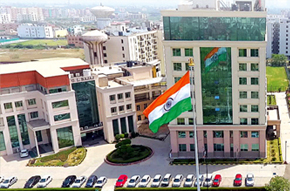 The main objective of these sessions is to sensitize the young budding managers with the pragmatic experiences of the corporate world and its expectations from them in the challenging and changing Global scenario. • Mr. Anup Mandal - Chief Technology Officer, HT Media Ltd.